﻿ Gotransverse | Marketing Hubris or Not, Are you Ready to Profit from The Internet of Things (IoT)? 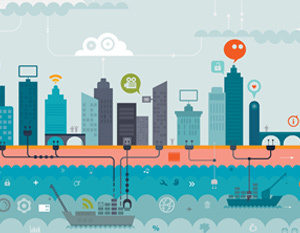 Marketing Hubris or Not, Are you Ready to Profit from The Internet of Things (IoT)? McKinsey’s latest IoT study, out this month, states that IoT has a total potential economic impact of $3.9 trillion to $11.1 trillion a year by 2025. They go on to extrapolate that this is 11% of the world economy. Even the less optimistic forecasts are enormous. On June 2nd, research firm International Data Corp said the global market for IoT, will nearly triple to $1.7 trillion by 2020 and that the IoT market, valued at $655.8 billion in 2014, is set to grow at a compounded annual rate of 16.9%. It’s not hype. It’s not marketing hubris. Even if it’s a bubble, it’s real, it’s in its infancy and it’s here to stay. But as we are fond of saying at Gotransverse, “if you can’t bill for it, it’s a hobby or a remarkably expensive learning process.” So what does it take to monetize the IoT revolution (or as Newsweek calls it the “Fourth Industrial Revolution”)? Rapid and dynamic provisioning of devices: requires advanced RESTful APIs and the critical ability to manage metering and entitlements. Usage or “consumption” based billing: Your customers will want to be able to pay for what they consume. This can’t be effectively done without the ability to “rate” in as real time as possible each and every event that is to be monetized. This rating capability also allows important tiered and tapered pricing and the pooling of events (similar to a family plan and the ability to share or carry-over of event bundles/buckets to the next pay period). Customer communication and self service: Your customers will want to be able to review their consumption and billing charges. They will also want to manage basic parameters of their account without an expensive reach into a contact center. Support new business models and react quickly to the market. You shouldn’t have to go back to your billing provider to launch a new product or service. Whether the IoT is hype your not, it is likely that either you or your customers will need to be ready to profit from it. Read about more important considerations in our free whitepaper: Buyer Be Aware. Contact Gotransverse today for a professional consultation.